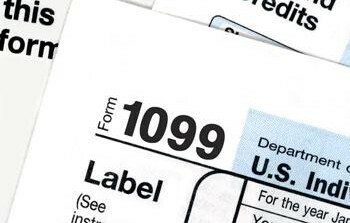 Are you a small business owner, self-employed, or an independent contractor who receives a 1099? To help prevent a potential audit, follow the guidelines below. Here are 6 things you need to know. Keep good records of all your business expenses and keep all of your receipts. You can ONLY claim 50% of business meals. Advertisement, office expenses, car or truck expenses, and many more can be deducted. You can designate a room in your home for the specific purpose of your business office. The general rule is that an individual is an independent contractor if the payer has the right to control or direct only the result of the work and not what will be done and how it will be done. Examples of independent contractors include doctors, dentists, website designers, Uber drivers, business consultants. Are you working part time for your current employer? Then you will receive a form 1099 – Misc. at year end for tax filing purposes. You may have form W-2 and form 1099 – Misc. at year end. In this case, you will file your tax return including both document’s income. Franklin Tax Service 1 will prepare your tax return and e-file it for you.